One of the things Adam and I love about living in the Washington, DC area is it’s almost impossible to be bored here. 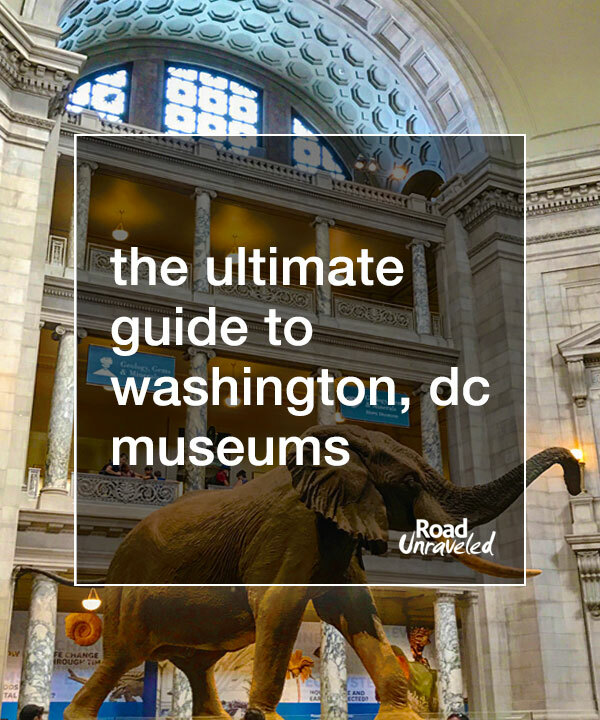 DC has emerged as a culinary hotspot, there are awe-inspiring monuments at every turn, and there are dozens of DC museums covering everything from air travel to zoology. 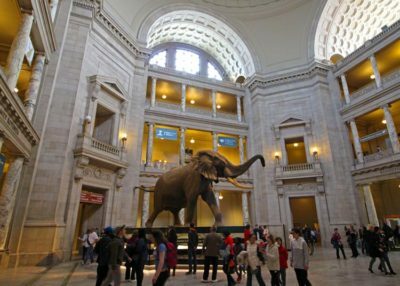 In fact, if you were to visit every exhibit at the Smithsonian museums alone, it would take several years to do—and that would just be for the permanent exhibits! If your vacation plans will bring you to the USA’s capital, there’s a good chance you’ll visit a couple of DC museums. This guide will introduce you to 40 of the best: from art to history to culture, we have information, tips, and ideas to help you select and make the most of your visit to the DC museums! 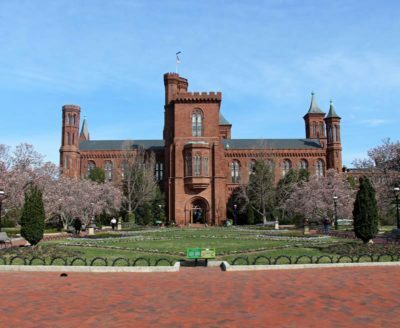 Why you should go: If you have never visited the DC museums before, the Smithsonian museums make an excellent starting point, and the Smithsonian Institution Building—known as the Smithsonian Castle—should be your very first stop. The Castle has played host to several museums (including the zoo!) during it’s almost 200-year history, and today it is home to the Smithsonian visitors center. Your visit will orient you to what’s new and exciting at the Smithsonian museums, and volunteers are on hand to answer questions and help you make the most of your visit. The Castle has several interactive maps to help you plot your course, and you can buy coffee and snacks from the café. You’ll also find free Wi-Fi available for guests. Highlights: Although it is primarily a visitor’s center, the Castle offers an exhibition about its own history that is worth seeing. It’s a great way to learn more about the Smithsonian’s namesake, James Smithson, and how his gift to the USA founded the remarkable DC museums complex we enjoy today. You’ll also see a crypt with his remains on the first floor of the building by the north exit. Talk to the volunteers! If you want some great insider tips on how to enjoy your time, ask about their favorite exhibits and put their ideas to use. Why you should go: The Smithsonian National Museum of the American Indian is home to almost one million items that tell 12,000 years of history about the continent’s native people. Learn about the tribes, culture, and lives of the remarkable people who have called the USA, Canada, and other central and South American countries home for many centuries. Highlights: The exhibit on Native Americans and their relationship with the universe is well-regarded and really interesting. You’ll see quite a bit of artwork, and the Patriot Nations exhibit that discusses the role of the American Indian during various wars is really eye-opening and educational. How much time do you need? 1-2 hours would provide enough time for a solid visit. The Mitsitam Café in the Museum of the American Indian is regarded as the best one on the National Mall. The prices are a bit high, but you’ll have your choice of bison burgers, chili with fry bread, salmon chowder, and ceviche. Options are broken up by geographic area, so you can try a nice sampling of food depending on your budget and how hungry you are. Why you should go: If you want to learn about the natural world, this is one of the can’t-miss Washington DC museums. You’ll find exhibits on everything from human evolution to dinosaurs to gemstones, and you can discover creatures who dwell at the bottom of the ocean and those who take to the sky. The Natural History Museum is one of the most popular in the city, and it’s a great choice for families, animal lovers, and jewelry aficionados. Highlights: You’ll want to brave the crowds on the second floor to see the Hope Diamond, a 45-carat blue diamond revered for its size and claimed to be cursed. The mummies exhibit is fascinating, and you won’t want to miss the Ocean Hall and mammals exhibits on the first floor. How much time do you need? 2-3 hours should be plenty for most people. On the ground floor by the exit you’ll find two items of note: a Tyrannosaurus rex skull and a Moai statue. The T-rex skull is one of the coolest fossils you’ll see, and we have a special affection for the Moai, which is one of just a few removed from Easter Island and displayed in museums around the world. We visited Easter Island in 2015 and learned about how rare it is for Moai to leave the island, so it’s a great way to see one without making the long journey. Why you should go: If you want to experience America through art, this is the perfect place to get started. The museum’s collections include mediums that cover the colonial era through modern day, and each piece contributes to the museum’s mission of reflecting the American experience and global connections. Several DC museums focus on art, but this one specializes in works produced by American artists. Highlights: The 19th century works that capture America’s landscape are some of our favorites, especially Thomas Moran’s The Grand Canyon of the Yellowstone. Nam June Paik’s Electronic Superhighway piece is an electronic representation of the USA and is part of the contemporary collection. I’m a big fan of photographer Ansel Adams, and the museum often has a few of his works on view. How much time do you need? 2-3 hours should be plenty of time, although coupling a visit to the American Art Museum with the National Portrait Gallery (which shares the building) may require a bit longer. Why you should go: For everyone who dreamed of being an astronaut as a kid, the Smithsonian National Air and Space Museum reminds us of the mystery the universe still holds. 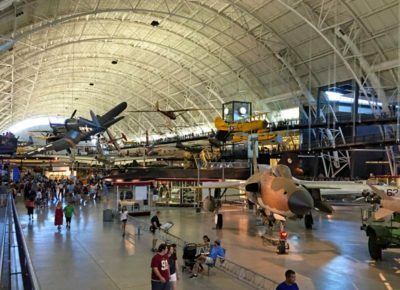 You’ll have a chance to see aircraft and spacecraft and enjoy exhibitions about the origins of flight. There are plenty of hands-on demonstrations, and an onsite IMAX theater and planetarium are a lot of fun to include in your visit. This museum is particularly family-friendly, and it’s enormously popular. Highlights: Check out the Apollo 11 command module from the first moon landing and the original Wright brothers plane from 1903. You’ll also be able to see actual rocks brought back from the moon! If motion sickness doesn’t impact you, the flight simulator is a lot of fun. How much time do you need? 2-3 hours should be enough to see the main exhibits, but plan on more time if you want to watch a show or take part in the interactive activities. Although it’s outside of Washington, DC, the Air and Space Museum’s Udvar-Hazy location close to Washington Dulles International Airport (IAD) is absolutely worth a visit if you can get there. You’ll see more spacecraft, and it’s often less crowded than other DC museums due to its location. Why you should go: An extension of the American Art Museum, the Renwick Gallery is focused on contemporary crafts and decorative art. Some pieces are eclectic, and many of them are distinctly different than what you might find at other galleries. Highlights: I love Karen LaMonte’s Glass Dress, a dress constructed of glass that looks to be reclining on its own. Sebastian Martorana’s “Impressions,” a marble pillow, is another interesting work to view. How much time do you need? The Renwick Gallery isn’t very big, so you likely won’t need much more than an hour or so. Why you should go: As one of the newest DC museums, the National Museum of African American History and Culture celebrates the impact the African American community has made on the USA’s history and culture. Focusing on everything from sports to music to slavery to civil rights, the museum beautifully captures the spirit, struggles, and successes of African Americans throughout the country. Highlights: A shawl belonging to Harriett Tubman, who famously saved dozens of slaves through the Underground Railroad, is a must-see artifact. You’ll also see a jersey worn by Michael Jordan and a great exhibit dedicated to musical contributions. How much time do you need? 2-3 hours should be enough to see quite a bit of the museum. 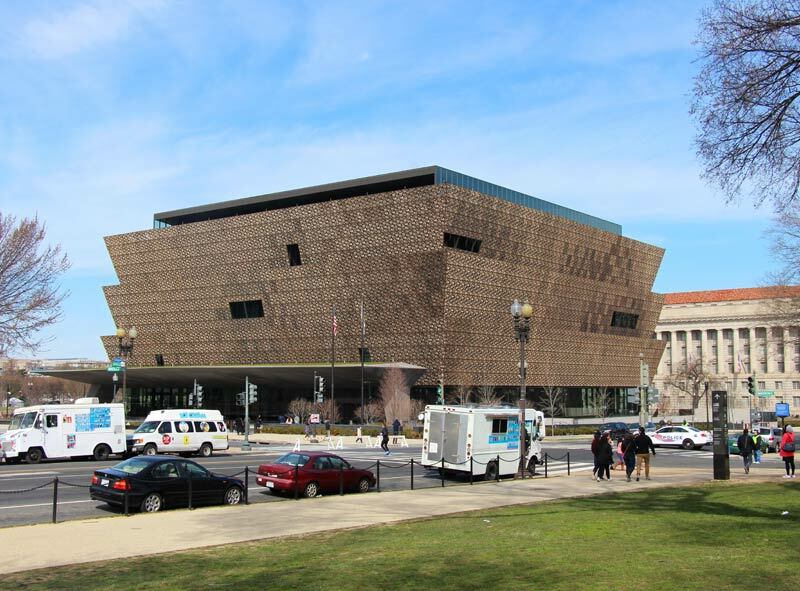 The Museum of African American History and Culture has been enormously popular since it opened in 2016, and a timed pass is required for entry. Timed passes can be reserved online; however, they are only released periodically, and they are claimed very quickly. Same day passes are available beginning at 6:30 AM ET (again, they are claimed quickly), and walk up passes may be available on weekdays after 1 PM. Visiting the museum can take months of preparation, so if this is high on your list be sure to reserve your passes as soon as possible! Why you should go: The National Postal Museum does a great job of making postal history relevant and compelling. You’ll see some rare and historic stamps and learn about how mail is moved and delivered throughout the country. Highlights: Amelia Earhart was a stamp collector, and mail that she carried aboard her flights as well as one of her flight suits is on display. A beautiful stagecoach, a Pony Express-era mochila, and a dogsled—all used to transport mail—are worth checking out. The stamp collection is impressive, and you’ll have a chance to see the rarest stamp in the world: the 1856 British Guiana One-Cent Magenta. How much time do you need? You can spend as little as 20 minutes and see quite a bit, but 30-60 minutes will provide a richer experience. Why you should go: The Museum of American History is the best of the DC museums when it comes to bringing your history books to life. You’ll learn about some of the events that shaped the USA, and you’ll also be treated some very special Americana artifacts from popular culture and TV. Highlights: An entire exhibit dedicated the dresses worn by the First Ladies always draws a crowd. The original flag that inspired our national anthem the Star Spangled Banner is also on display, as is famed chef Julia Child’s kitchen. If you’re looking for the ruby slippers Dorothy wore in The Wizard of Oz, though, you’ll be disappointed: the shoes are currently undergoing restorative procedures and, as of April 2018, are not expected to go back on display for some time. How much time do you need? 2-3 hours should be fine for most visitors. Why you should go: Washington, DC’s zoo is part of the Smithsonian museums, and it’s one of the best zoos in the country. With hundreds of animals and plenty of great educational programming, it’s a favorite for families and even makes for a great evening walk. There are plenty of benches and resting spots available if you want to spend more time at exhibits of specific interest to you. Highlights: I’m a huge fan of the small animal exhibit, where you can find degus, prairie dogs, and mole rats, but most visitors want to see the lions, monkeys, and (of course) the famous giant pandas. How much time do you need? Plan on at least a half day; the zoo is expansive, and it will take some time to explore the highlights—and much longer if you want to see more exhibits than just the popular ones. Onsite parking is available, but it’s $25 per car. Still, it may be a bargain depending on how many people are traveling in your group. 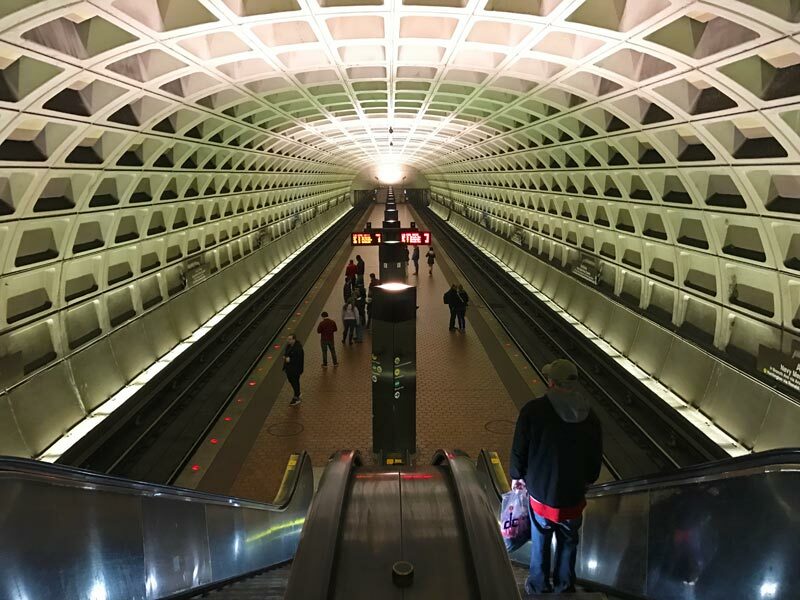 Consider how much a roundtrip ride on Metro might cost per person; for families traveling with small children and strollers, the extra money might be worth it. Why you should go: The Hirschhorn Museum is DC’s beloved contemporary art museum, and it’s a great place to discover new works and concepts. You’ll find much more than paintings on a wall: video, digital, performance, and technological pieces are regularly on view. Not to be missed is the outdoor sculpture garden, where more than 60 works are on display year-round. Highlights: Just outside the museum’s entrance is Jimmie Durham’s Still Life with Spirit and Xitle, a giant boulder crushing a car. Rodin’s “The Burghers of Calais” is also an important work to see. How much time do you need? 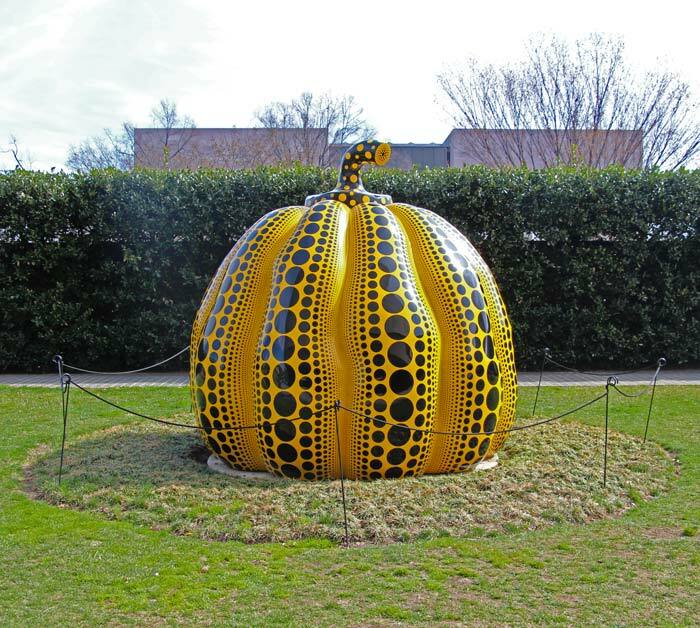 If you’re not into contemporary art, a walk through the sculpture garden can take just 20 minutes and provide a beautiful retreat from busy Washington, DC. If you want to visit the museum proper, one or two hours would be enough to see quite a bit. If your visit takes place on a Friday during the summer, check out the Hirschhorn’s Jazz in the Garden series, where you can enjoy a free concert between 5:00-8:30 PM. Food and beverages are available to purchase, and it’s a fun way to spend a DC evening. Why you should go: The Freer and Sackler Galleries, located next door to each other, house some of the best examples of Asian art in the world. Between the two galleries you will find more than 25,000 objects from 6,000 years of human creativity. Silk paintings, sculptures, ceramics, and bronzes are just some of the works you will have the chance to enjoy. Highlights: The Peacock Room in the Freer Gallery is far and away one of my favorite spaces in any of the DC museums. The room is painted in blue and gold and features ceramics from throughout Asia, and it’s stunning in how so many pieces can come together from so many places to create a finished space. How much time do you need? I always spend 2-3 hours during my visits, and that usually gives me enough time to really explore all of the exhibits of interest between the two buildings. Why you should go: The National Portrait Gallery provides an amazing collection of the faces of some of America’s most impactful citizens. Collections include historic figures, 20th Century leaders and entertainers, and a wonderful gallery featuring US presidents. It’s one of the most interesting of the DC museums you will visit, and it’s equally popular with tourists and locals. Highlights: Without question the current highlights are the portraits of President Barack Obama and former first lady Michelle Obama; crowds gather daily to get a glimpse of their newly unveiled portraits in person. Portraits of Pocahontas, Rosa Parks, and Bill and Melinda Gates are just some of the faces you will see. How much time do you need? You can see the presidential gallery in as little as 30 minutes, but if you have 2-3 hours you can see most of the collections quite easily. 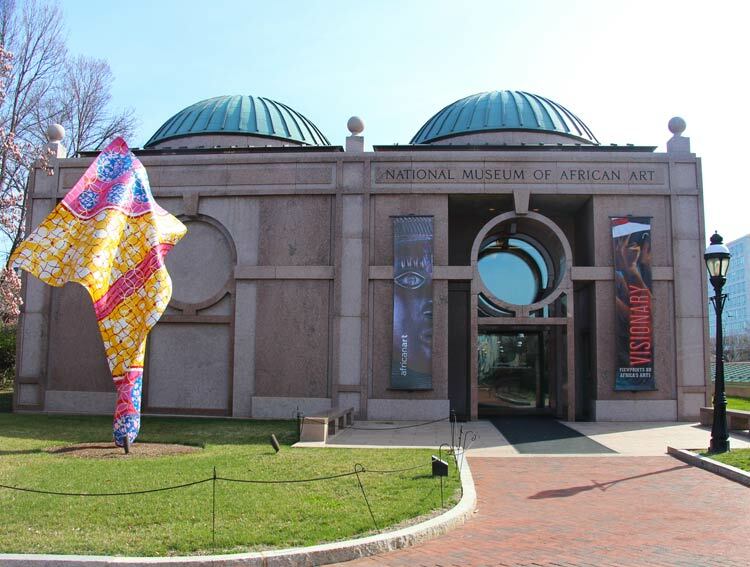 Why you should go: This is a wonderful museum to explore African art, and for anyone who can’t get into the Smithsonian National Museum of African American History and Culture it’s a good alternative. You’ll be treated to a nice-sized collection of artwork that can be traced to almost every African country. Of the DC museums we have visited, it’s one that always impresses our friends from out of town. Highlights: If you only have time for one exhibit, the African Mosaic exhibit is a great one to check out. It encompasses pieces from throughout the collection as it celebrates 50 years of the museum’s existence. How much time do you need? 1-2 hours would be plenty to see a few parts of the collection. Why you should go: The National Gallery of Art is one of the best, most well-rounded art collections in the world. It’s here that you’ll find the artists you know and love: Monet, da Vinci, Raphael, and Renoir all have pieces in the permanent collection. If you are looking for a beautiful gallery where you can spend a morning or an afternoon, this is the perfect choice. Highlights: Several of my all-time favorites pieces call the National Gallery of Art home: Monet’s The Japanese Footbridge, Rubens’ Marchesa Brigida Spinola Doria, and Van Gogh’s Self Portrait. Don’t miss the Degas sculpture Little Dancer Aged Fourteen, another incredible work of art. How much time do you need? You can make a dash to the highlights in an hour or so, but give yourself a couple of hours to enjoy the museum at a leisurely pace. The DC Metro can take you almost anywhere you want to go. 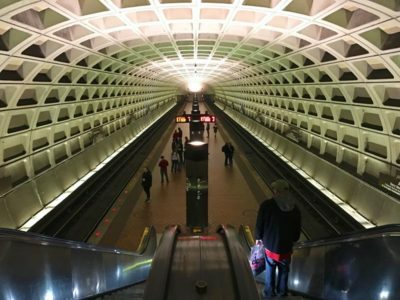 Visit wmata.com for maps and schedules. Why you should go: This is a great opportunity to check out some artwork you won’t find in the major galleries or other DC museums. This private home-turned-museum provides a much more intimate viewing experience away from the crowds in the downtown DC museums. The collection, personally acquired by the Kreegers, represents pieces they truly loved. Highlights: You’ll get up close and personal with Monets, Picassos, Renoirs, Cezannes, and Mirós—to name a few. The property also has a sculpture garden where you can enjoy some time outside when the weather is nice. How much time do you need? An hour or two should be enough, especially if your visit is during a quiet time. Why you should go: The Phillips Collection is a dedicated modern art museum, and if you enjoy modern art you’ll find plenty to appreciate during your visit. It’s a great place to spot some Renoirs, Matisses, and Picassos. Highlights: Renoir’s “Luncheon of the Boating Party” is perhaps the most famous of the pieces that are part of the collection, but my favorite is Monet’s the Road to Vétheuil, which won’t be back on display until after the museum’s renovations are complete. How much time do you need? The Phillips Collection is a smaller museum, but two hours should provide you with enough time to make the most of your trip. Why you should go: This is a must-see for history lovers! The museum is home to the USA’s Bill of Rights, Declaration of Independence, and Constitution, and no trip to the country’s capital city is complete without a stop at the museum that houses all three of them! For US citizens especially a visit to the National Archives is a powerful moment and a reminder of our roots and national ideals. Highlights: In addition to the three most famous documents in USA history, the Archives also has one of only four copies of the Magna Carta. How much time do you need? You likely won’t need much more than an 30-60 minutes once you get inside (waiting in line will add some time). Prepare for some dim lighting. In order to preserve the documents the lighting is lower than you may desire, so it can be a bit difficult to see when you are inside. 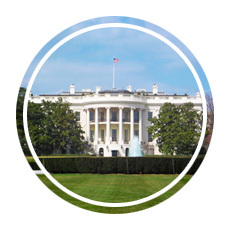 Why you should go: It can be difficult to get a tour of the White House itself, but the White House Visitor’s Center gives you a look at what America’s most famous address is like on the inside. With lots of great information and a nice video to orient you, it’s a great stop to make if you are looking for more on presidential history. Highlights: There is a nice video that features presidents and first ladies sharing their impressions of life in the White House. Photos and historic displays provide some nice perspective and history. How much time do you need? If you stay for the film and look around a bit, 30-45 minutes will be all it takes to make the most of your visit. 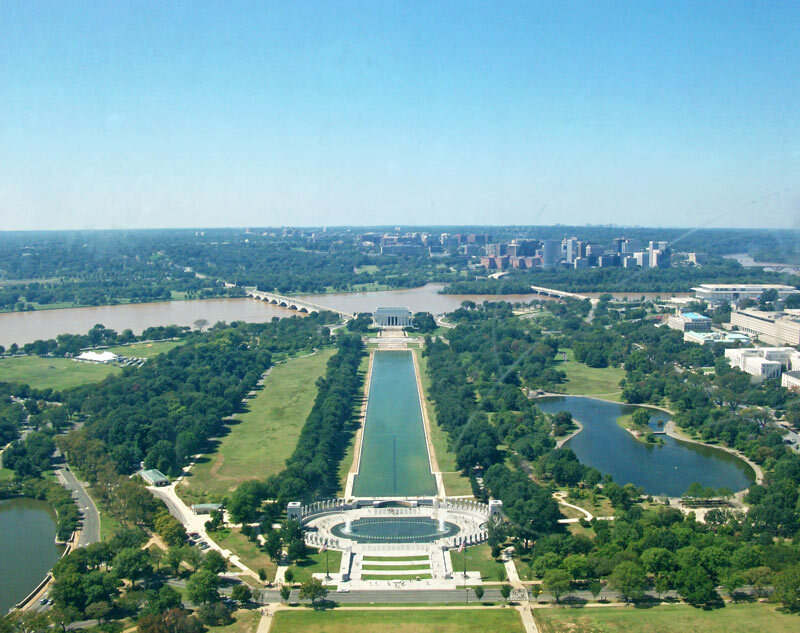 The view from the top of the Washington Monument. The Holocaust Memorial Museum is just steps away from the Washington Monument. Why you should go: It is critically important that we learn about and remember some of the most horrible events in our history so they are never repeated. The United States Holocaust Memorial Museum educates the public about a horrific, tragic event in a sensitive yet honest manner. 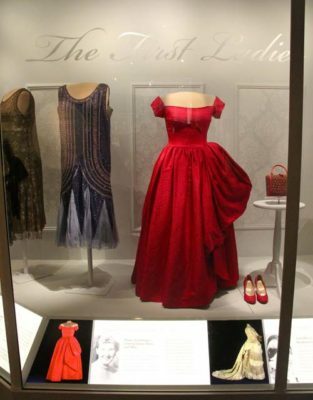 This museum is not likely to be your “favorite,” but it is likely to be the most memorable and impactful of the DC museums you visit. How much time do you need? A couple of hours at least. This museum is emotional, so take your time. The museum is often at capacity in the spring and summer, so advance tickets are required. They are free (although it is $1 to reserve online). Why you should go: Frederick Douglass was one of the most influential African Americans of the 19th century, and his dedication to fighting for justice and equality for all people has secured his place in history. 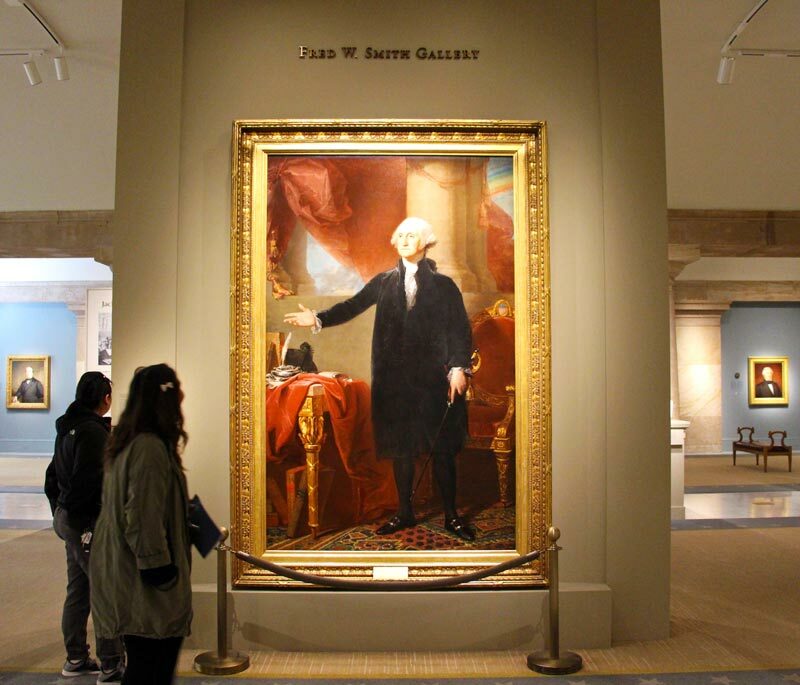 He lived his final years in Washington, DC, and his home is now a museum that offers a nice tour and overview of his life, work, and achievements. Highlights: The house tour is the main attraction, and it’s worthwhile because it’s the only way to see the inside of the Douglass home. It’s also one of the DC museums with a great view of the city, which you’ll notice from the property. How much time do you need? The tour is only 30 minutes, so you won’t need more than 45-60 minutes to explore the grounds before or after seeing the house. The Anacostia neighborhood is not one which we would recommend walking through if you are not familiar with DC. Free parking is available at the museum, or consider taking an Uber if you don’t have access to a car. Why you should go: You will get a great overview of the Library of Congress’s art and architecture during your visit. 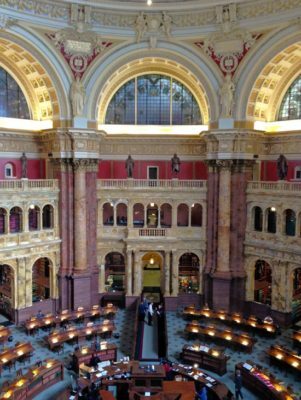 In addition, the Library of Congress provides access to reading rooms for visitors looking to conduct research. If you have the time, consider taking a free docent-led tour (offered multiple times each day). The tours are a great way to learn about the building’s history and highlights. Highlights: In addition to the stunning architecture, the books alone are worth stopping in to see. Some of them date back four centuries to the 1600s! Even older is the library’s copy of the Gutenberg Bible, which was printed in the 1400s. How much time do you need? At least an hour for a tour (guided or self-guided), and more time if you want to look at the books or check something out to peruse in a reading room. Why you should go: The Daughters of the American Revolution (DAR) Museum is dedicated to preserving, exhibiting, and interpreting pre-industrial America’s history and culture. A visit to the museum will introduce you to some incredible artifacts including antique furniture and children’s toys. Highlights: The period rooms are absolutely worth seeing! 31 rooms showcase different interior design styles spanning several centuries, and it’s a very different look into American history than you might find at other museums. How much time do you need? Anywhere from 90 minutes to three hours depending on how much time you would like to spend exploring. Why you should go: The Interior Museum pays homage to the US national parks. If you are interested in the national parks, this museum provides insight into the development and management of our natural resources and public lands. Highlights: The museum offers a nice video presentation, and there is a great collection of more than 800 Native American hand baskets on display. You’ll also see some artwork that belongs to the Office of the Secretary. How much time do you need? The Interior Museum is not very big, so 20-30 minutes is all you might want, even if you intend to see everything available. 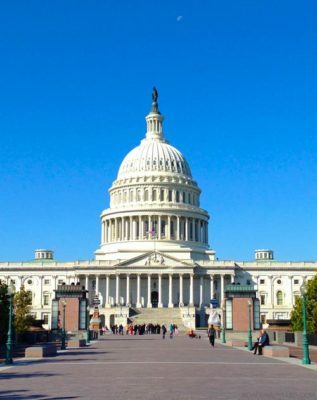 Why you should go: The Capitol Building is well-worth a visit—even if you don’t have a prearranged tour. The Capitol is indeed where laws are made in the USA, and being in that environment—the seat of representative democracy—is an amazing experience to have. The visitor’s center has exhibits and information available, even if you just stop in to take a look. Highlights: Tours are recommended, and scheduling most often should be done in advance through your representative or through the Capitol Building’s online scheduling system. Walk-in tours are sometimes accommodated, but it’s best to let them know to expect you. The Exhibition Hall provides great, interactive displays about how the US government operates. How much time do you need? Plan on spending at least 90 minutes at the visitor’s center if possible; less time may work, and more time will give you a more complete experience—especially if you will join a tour. Why you should visit: Architecture plays an important role in US history, and the Octagon Museum brings it to life by encouraging visitors to learn about the people who built the structure and the city beyond it. 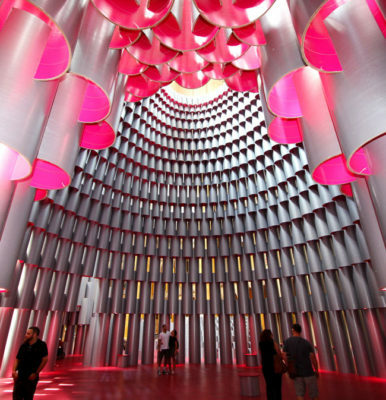 It is managed by the American Institute of Architects, and self-guided tours are available to the public. Highlights: This museum welcomes people to engage with it. Where most DC museums won’t let guests sit on the furniture or touch the exhibits, the Octagon Museum encourages people to lay on the beds and walk around to experience the house. It is one of the few DC museums to allow that kind of interactivity. How much time do you need? 30 minutes should be enough, as the museum is not that big. 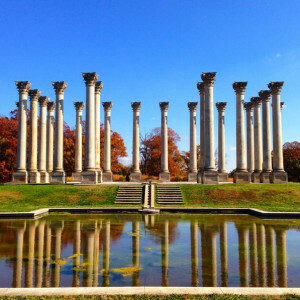 Why you should go: The U.S. National Arboretum is quite a way from most of the other DC museums, but it’s still worth a visit. 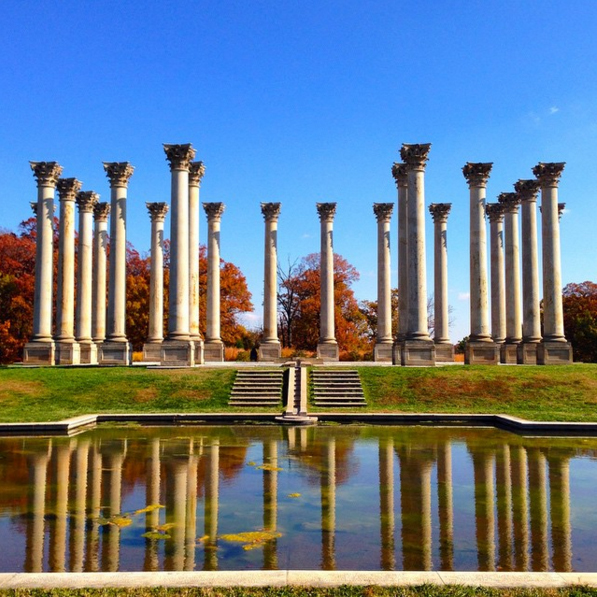 In addition to providing a quiet walk through lovely gardens and wooded spots, its home to the Capitol Columns, the original columns that once were part of the US Capitol Building. Set along a reflecting pool they are especially pretty in the summer and the fall. 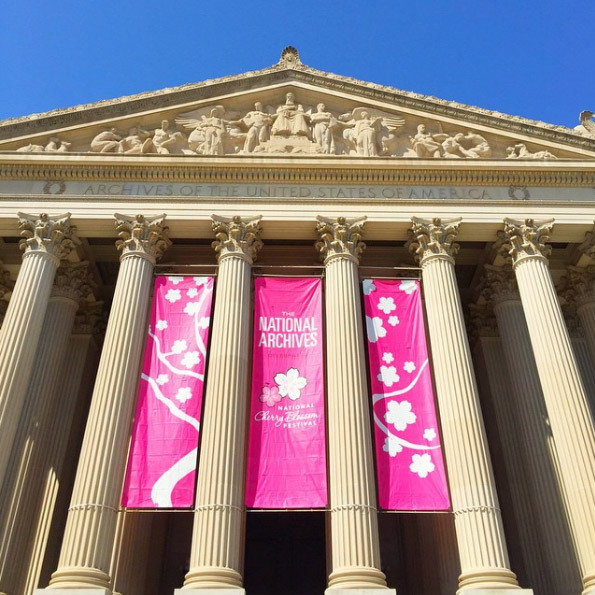 Highlights: The Capitol Columns are our favorite part of the arboretum, but the Friendship Garden, bonsai museum, and Asian Collection are a few others spots you should save some time to see. How much time do you need? A couple of hours would provide a great, relaxing visit. The arboretum offers free parking, and driving is much easier than taking the metro-bus combination required if public transportation is your preferred method. Why you should go: The Old Stone House in Georgetown is the oldest existing structure in Washington, DC. Built in 1765, it’s an example of pre-revolutionary architecture and is unlike many of the other historic buildings you might visit in DC. The interior is currently closed for renovations, but it’s still possible to see the outside of the building. Highlights: When open, the interior reflects the common décor of the time. The exterior of the building is equally impressive, though; it’s unlike any of the other DC museums. How much time do you need? Just a few minutes to photograph it until it reopens in late 2018. Why you should go: The US Botanic Garden is designed to educate visitors about our ecosystem by sharing the importance and value of plant life. 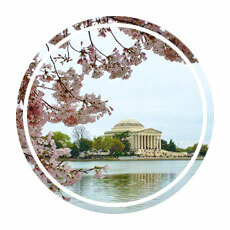 By showcasing everything from flowers to plants often found in the rainforest, a visit to the Botanic Gardens makes a gorgeous escape from the city streets and will provide a restful place to unwind before checking out another of the DC museums. Highlights: You’ll more than likely find your favorite plants and flowers, but most visitors hope for a glimpse of the corpse flower. The corpse flower usually blooms without warning and, when it does, emits a horrible smell that can be equated to garbage or rotting flesh. It may not sound like a treat, but when it blooms thousands of people line up to see it because you never know when it might bloom again! How much time do you need? An hour or two would be enough, but plan on more time if you really want to relax. 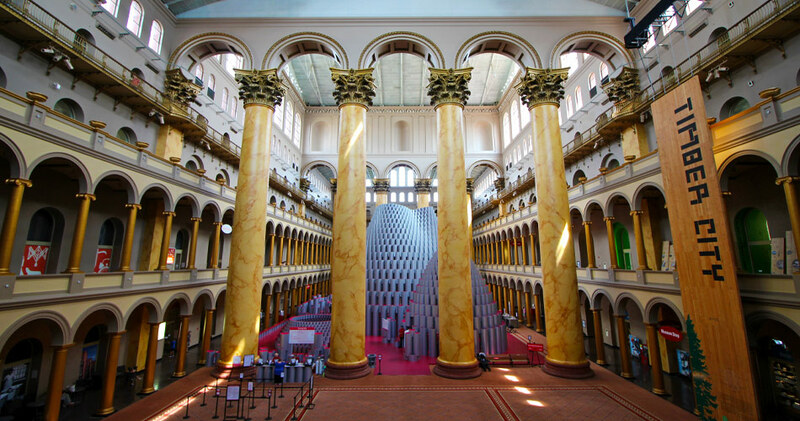 Why you should go: The National Building Museum connects you to the history of architecture, engineering, and design in the USA. The building itself is beautiful and worth exploring on its own, but a good number of educational and hands-on exhibits make for an interesting visit that is particularly good for kids who like to build. Highlights: The rotating exhibits are always the best reason to go. We visited in the summer of 2017 to see Hive, an interactive installation that turned 2,700 paper tubes into a 60-foot tall structure. Past installations have explored Washington, DC’s structures, icebergs, gardens, mazes, and even constructed a beach in the museum’s Great Hall. How much time do you need? We felt satisfied after a 90 minutes visit that included watching a student group perform for 30 minutes; plan on at least an hour to walk through the building and explore the permanent exhibitions. Why you should go: If you want to explore the world in a single museum, the National Geographic Museum is a great place to try. Full of unbelievable photographs and regularly rotating exhibits, it’s often a favorite for families. Highlights: The vast majority of the space is dedicated to current exhibitions. If you’re planning to visit, take a look at what’s currently on display before committing to paying the ticket price. Because so much changes so regularly, highlights for your visit will change as well. How much time do you need? The museum isn’t very big, so it may not require more than 30-60 minutes of your time. It will depend on how interested you are in each of the exhibits on view. Why you should go: For anyone who has ever watched a spy movie and wondered what it would be like to live that experience, this is your museum. You’ll learn about the role of spies and espionage throughout history and gain access to details about famous historical events that will get you thinking about the people who live double lives. Highlights: The museum is really well done and very interactive, but our favorite was the Spies Among Us exhibition that features some great information on code breaking. Many of the ingenious tools and strategies used over the years are fascinating as well. How much time do you need? A couple of hours at least; you’ll want to explore every part of this museum, and you may find yourself so engaged by the interactive exhibits that time flies by. Why you should go: Explore some of the most impressive artwork by female artists. More than six centuries of female-created art is on view throughout the gallery. You’ll see everything from paintings to sculptures to photography, and there are often visiting exhibits to compliment the permanent collection. Highlights: Art by Frieda Kahlo and Georgia O’Keefe are definite highlights, but don’t overlook the incredible talents of lesser-known and contemporary artists who are changing the way art is created and shared. How much time do you need? An hour or two would be enough to explore a few exhibits and see some expected and unexpected artwork. A three-story guard tower from the Berlin Wall. Why you should go: The Newseum is a very well-designed and informative museum that will give you a fun, interactive look at the importance of the free press and the first amendment. You’ll see exhibits on some of the most memorable and newsworthy events of the past decades presented through video clips and exerpts. Highlights: The wall of newspaper front pages from around the world is always a favorite! 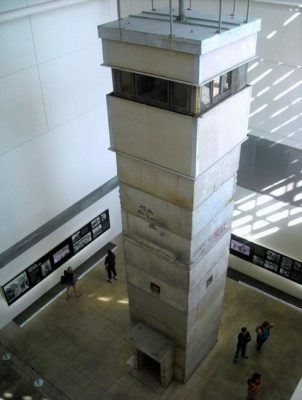 Take some time to look at the piece of the Berlin Wall on display, and don’t miss the 9/11 exhibit that many people find to be emotional and well-created. How much time do you need? Plan on several hours to see everything, especially if you want to watch video clips—most are a few minutes long, and those minutes will add up! Because this museum has a higher price tag than most you’ll get the most value for your money if you enjoy a longer visit. Save on your admission by asking about discounts, which are available to AAA members, military, and students with ID. It’s also possible to save money by booking a ticket in advance online, so if you can preplan your visit you’ll pay a bit less! Why you should go: The O Street Mansion is a building unlike many others: it’s actually a series of five townhouses interconnected by 70 secret doors with 100 rooms to explore! Rooms showcase various types of design techniques from numerous periods, and most rooms have lots of fun artifacts to investigate. Almost everything you see is available for purchase, which adds to the fun! Highlights: The museum offers multiple tours, each taking you through the museum and showcasing some of the interesting relics and art pieces kept in house. The basic tour is the Magical History Tour, which provides a nice introduction to the museum. It’s also fun to look for the secret doors—they can be exceptionally hard to find! How much time do you need? Some tours last about an hour, and some last half a day. Why you should go: It’s a beer museum (of sorts)! 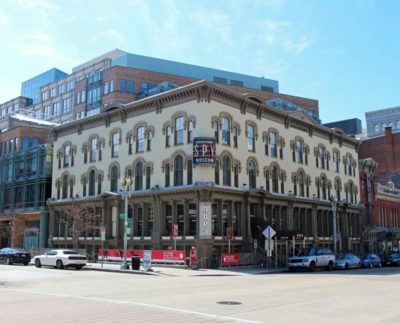 Christian Heurich ran Washington, DC’s longest-operating brewery, and the museum celebrates his legacy and educates visitors about his life through a tour of his home. 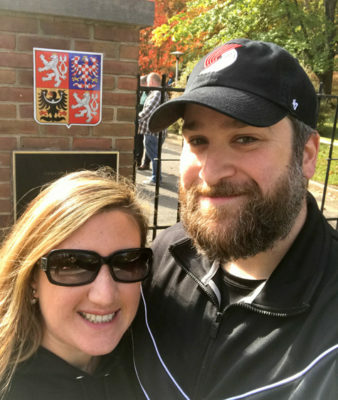 Highlights: The tour itself is a great way to see what a state-of-the-art home looked like in the mid-1800s, but many visitors will appreciate the Brewmaster Tour, which provides pours of local beers to sip while learning about the home. It’s not a true beer tour, but it’s beer to drink as part of a tour—and that could make for a fun Friday night! How much time do you need? An hour or so will be all you need for the tour; if on a Brewmaster Tour you might want to stick around a little longer. Ford’s Theater still has many popular shows- including A Christmas Carol which is performed every December. Why you should go: On April 14, 1865, President Abraham Lincoln was shot inside Ford’s Theater, and it has stood in infamy ever since. Taking a tour of Ford’s Theater, neighboring Petersen House (where President Lincoln died), and the museum are a great way to learn more about the impact this event had on the USA. 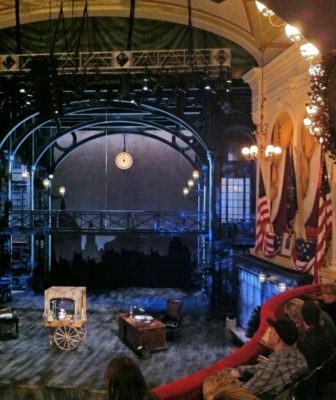 Highlights: A tour that includes a visit to the theater itself will let you see the actual seat President Lincoln occupied when he was shot. Petersen House (closed until summer 2018 for preservation work) served as the place where he took his last breath. 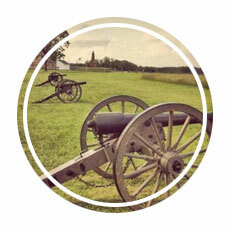 The museum and Aftermath Exhibits are self-guided opportunities to put the historic sites into context. How much time do you need? Plan on 2-3 hours if you are going to tour the theater, Petersen House, and all associated exhibits. When reserving your tickets online, pay attention to the different tour configurations available. Some tours exclude stops at the theater or the museum, and there are different prices to reflect that. 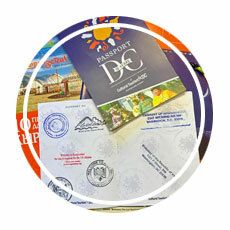 Be sure you understand what tour you are purchasing to get the experience you want! Why you should go: Have you ever wanted your picture taken with Thomas Jefferson? Beyonce? Stephen Colbert? Madam Tussaud’s Wax Museum has popular locations around the world, and Washington, DC is home to a collection of wax celebrities so lifelike you’ll wonder if they just might start moving! Highlights: You can have your picture taken with all 45 US presidents and a whole host of celebrities from music, Hollywood, and sports fame. How much time do you need? 90 minutes to two hours should be just enough. Why you should go: Tucked away in northwest Washington, DC sits President Lincoln’s Cottage, the home he lived in that now serves as a museum to educate vistors about his life and ideals. In addition to a guided tour, exhibits are offered and can be enjoyed as a secondary self-guided tour. 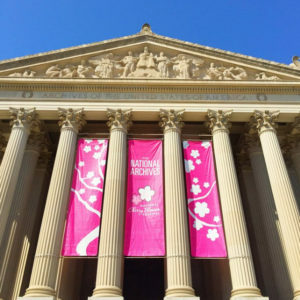 Highlights: The tour is thought-proviking and designed to promote conversation; it’s not a typical tour where you might get to ask a few questions at the end before moving on to your next DC museum. Prepare to engage, think, and discuss with the docent and fellow visitors. How much time do you need? 1-2 hours should be enough to enjoy the tour and explore the grounds and exhibits on your own. Washington, DC tourist attractions have security that is similar to what you might experience at airports. Know that peak tourist times will result in longer than usual lines to get into most museums, especially the larger ones. Lines can extend more than an hour, but they do go faster if you don’t carry a large bag. In warmer months some sunscreen and sunglasses or a hat will go a long way toward keeping you comfortable, as will a bottle of water (which you can take through security in most museums!). Washington, DC museums are popular with tourists and locals alike, and there are plenty of times when they might feel crowded to you. From our experience, we don’t think there is a specific time of day, week, month, or year when you can be guaranteed to see shorter lines, so our best advice is to prepare for crowds and be pleasantly surprised if you don’t encounter them. Traditionally quiet times are weekday afternoons, and Sunday mornings before noon are often a good time to visit. School breaks, summer vacations, and holidays mean more people have paid time off—and that means the DC museums are going to be crowded. You’ll also find crowds when Washington, DC hosts special events like the springtime Cherry Blossom Festival and the 4th of July. You might still be able to have a wonderful time visiting museums, but you’ll certainly have company. Peak tourist times are a great opportunity to visit the smaller, off-the-beaten path selections we’ve shared here! 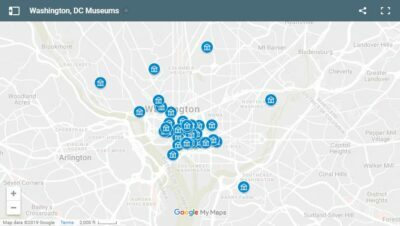 The Washington, DC museums are scattered all over the city, so pay attention to which museums are close to a single Metro stop when plotting your itinerary. That will help you to determine the best route to follow. We put together a Google Map to help you visualize each museum’s location; we hope it helps you to identify which museums you’ll group together to maximize your visit! 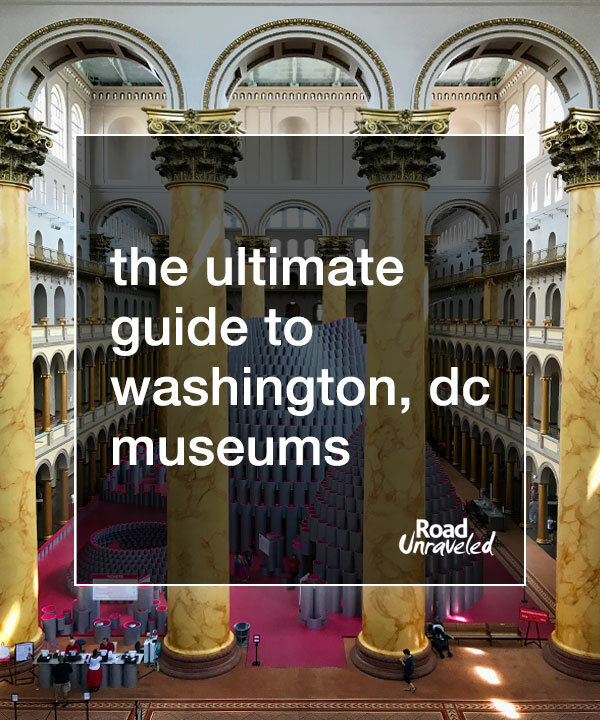 Visiting the DC museums is a wonderful way to experience Washington, DC, and we hope this massive guide to some of our favorites gives you some perspective and helps you decide which museums will give you the experience you want. Let us know if there is information that helps you out—or if we left your favorite museum off the list! Have a fantastic visit to the capital city of the United States! Planning a visit to the capital city of America? Here are a few more articles to inspire you! * Hours and Prices for the DC museums mentioned in this post are accurate as of April 2018.